The Asus S101 is a rather deliciously luxurious piece of kit, isn’t it? Well, word on the web is that Asus is prepping another computing beaut, and much like its fine fine sibling, will probably have us dribbling at the mouth too. 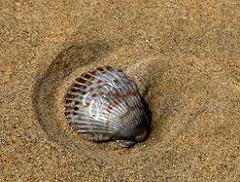 At the moment all we can provide is this rather interesting picture of a shell. But will the ultra-thin second generation Eee PC assume the curved body of a clamshell? Who knows? All we know is Asus is ditching the alphanumeric naming by going for a more memorable moniker – the Eee PC Shell – it’ll be slicing a few pounds of its weight and will apparently be easier to carry than the S101. It also squeezes in higher specs with longer battery life and will be embarking on its journey as of April. The price will even be better than its predecessor too, coming in at between $486 and $571 USD. That’s about as much information we could squeeze from Engadget, but as soon as we know more, you will too.